International in scope and written by a leading young Post-Keynesian economist, this book focuses on the working of money and payments in a multi-bank settlement system within which banks and non-bank financial institutions have been expanding their operations outside their countries of incorporation. 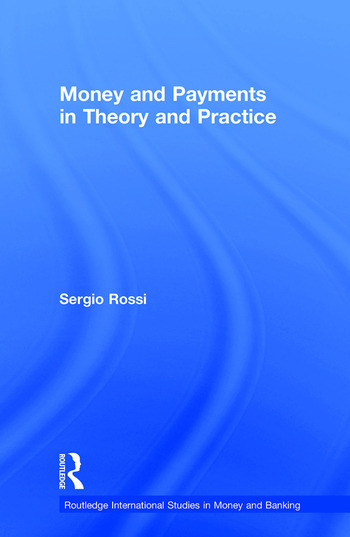 Departing from conventionally held beliefs, Sergio Rossi sets off from a positive analysis of the logical origin of money, which is the essential principle of double-entry book-keeping through which banks record all debts and credits for further reference and settlement and provides theoretical and empirical advances in explaining money endogeneity for the investigation of contemporary domestic and international monetary issues. Showing that both money and banking have profound implications for real economic activities, this innovative work is essential reading, not only for scholars in monetary economics, but also for professionals concerned with monetary policy and payments system issues.